Isn't It Romantic is about a New York woman hit on the head during a mugging. The impact leaves her feeling that she is in a rom-com. IMAGE: Priyanka Chopra and Adam Devine in Isn't It Romantic. Hollywood's 2019 roster is chock-a-block with reboots and sequels suffixed with numerals and extensions. Star Wars: Episode IX, Avengers: Endgame, Men in Black International, John Wick: Chapter 3, X-Men: Dark Phoenix, Godzilla: King of the Monsters, Spider-Man: Far from Home, to name only a few, will open during the year. While the numbers they tot up will arouse keen interest, our gaze will be equally on films by Quentin Tarantino, Ang Lee, Tim Burton, Guy Ritchie, Charlie Kaufman, Taika Waititi and Richard Linklater. Martin Scorsese's long-in-gestation The Irishman, too, is likely to begin streaming on Netflix early 2019. We can hardly wait. First up in 2019 is M Night Shyamalan. He served up the final film of his Unbreakable trilogy, Glass, which released on January 18. 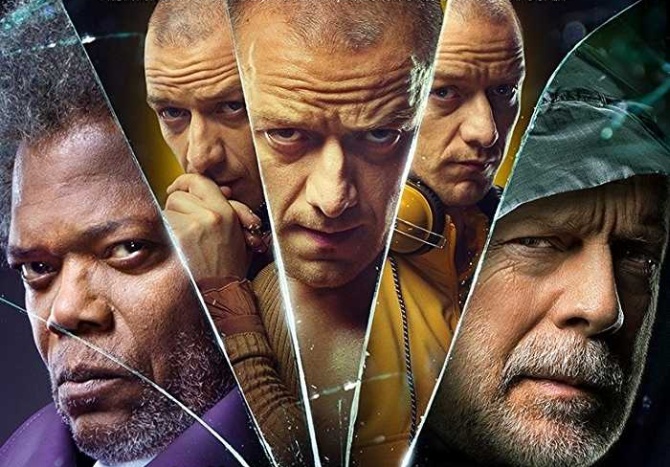 It has Bruce Willis and Samuel L Jackson reprising their Unbreakable (2000) roles and James McAvoy and Anya Taylor-Joy returning as their Split characters. Glass hit movie screens virtually a year to the day from the release of Split. This year, British writer-director Gurinder Chadha brings to the screen Guardian scribe Sarfraz Manzoor's memoir, Greetings from Bury Park. The drama, Blinded by the Light, is set in 1980s England. It follows a Luton-based Pakistani lad caught between his personal aspirations and his conservative upbringing. When the boy (played by emerging actor Viveik Kalra) discovers Bruce Springsteen's rousing working class numbers, his world changes forever. Hollywood's next Valentine's Day release, Isn't It Romantic, has Priyanka Chopra in a cast that includes Rebel Wilson, Chris Hemsworth and Adam DeVine. Directed by Todd Strauss-Schulson, Isn't It Romantic is about a New York woman hit on the head during a mugging incident. The impact leaves her feeling that she is in a rom-com. In order to return to reality and find true love, she must resist the clichés her altered state of mind has trapped her in. Quentin Tarantino's star-studded Once Upon a Time in Hollywood is centred on the Manson family murders in 1969 LA. Leonardo DiCaprio and Brad Pitt play an actor and his body double respectively in a film that cinematographer Robert Richardson has described as 'spooky and playful'. Margot Robbie is cast as actress Sharon Tate, one of five people murdered that fateful night in the home she shared with her husband Roman Polanski. Also in the cast are Al Pacino and Dakota Fanning. IMAGE: Will Smith in Gemini Man. 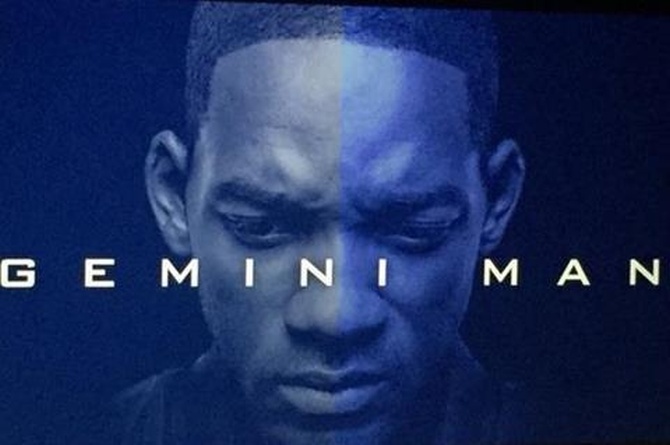 Ang Lee is ready with the sci-fi thriller Gemini Man, starring Will Smith and Clive Owen. The film is about an ageing assassin who wants to quit his career but finds himself going up against a younger clone who can anticipate his every move. Tim Burton has wrapped Dumbo, a live-action remake of the 1941 Disney animated classic about a circus elephant who can fly. The film's cast is formidable: Colin Farrell, Michael Keaton, Danny DeVito, Eva Green, Alan Arkin and Roshan Seth. Another upcoming live-action Disney update, this one helmed by Guy Ritchie, is that of the early 1990s animated hit Aladdin. With Smith as the Genie and Canadian-Egyptian actor Mena Massoud as the titular character, it also has Naomi Scott in a key role. Releasing on July 19, Jon Favreau's The Lion King, a CGI reimagining of the 1994 hit, has Chiwetel Ejiofor, Seth Rogen, Beyoncé, Donald Glover and James Earl Jones in the voice cast. Writer-director Charlie Kaufman (Eternal Sunshine of the Spotless Mind, Synecdoche, New York) has turned the un-filmable 2016 Iain Reid novel, I'm Thinking of Ending Things, into the Netflix original of the same name. The harrowing story revolves around a woman (Brie Larson) on a road trip with her boyfriend (Jesse Plemons). She intends to terminate the relationship but the man makes an unexpected detour and the ride turns into a nightmare. IMAGE: Taraji P Henson in What Men Want. Taika Waititi's next film, Jojo Rabbit, a dark World War II comedy, is likely to open in 2019 as will Richard Linklater's much-delayed Where'd You Go, Bernadette. Bernadette, played by Cate Blanchett, is a woman who goes missing, forcing her daughter to set out to figure out what happened. 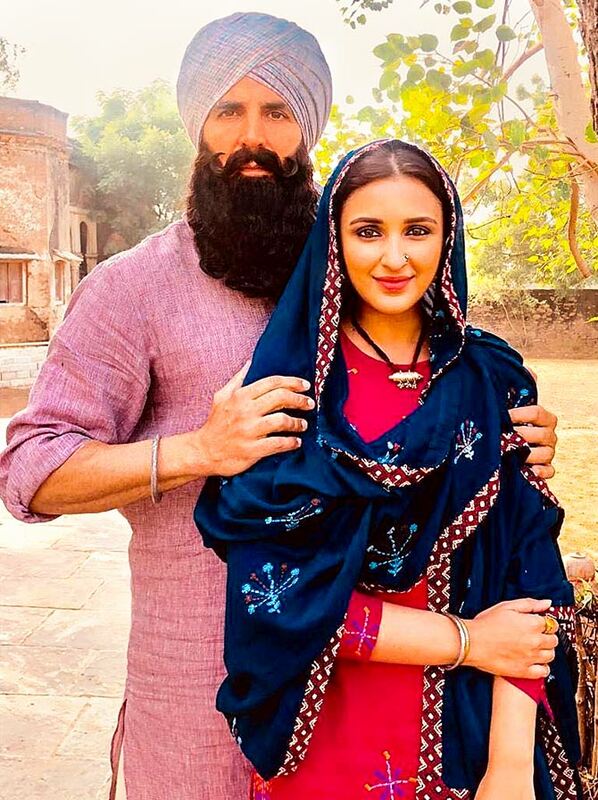 IMAGE: Akshay Kumar and Parineeti Chopra in Kesari. Coming off a year that saw many biggies bite the dust, Bollywood fans will continue to pin their hopes on potential blockbusters. The Karan Johar-produced period drama Kalank(Madhuri Dixit, Sonakshi Sinha, Alia Bhatt, Varun Dhawan, Sanjay Dutt), scheduled for release in mid-April, is probably the most anticipated among these. Also coming up are Ashutosh Gowariker's Panipat, the Salman Khan starrer Bharat (co-starring Katrina Kaif and Tabu), Ayan Mukerji's superhero fantasy Brahmastra (Amitabh Bachchan, Ranbir Kapoor, Alia Bhatt, Dimple Kapadia, Akkineni Nagarjuna) and Anurag Singh's Kesari, a period epic about the 1897 Battle of Saragarhi starring Akshay Kumar and Parineeti Chopra. But here, too, enthused by the sleeper hits of 2018 (Andhadhun, Stree, Badhai Ho), we will look for off-mainstream surprises. Hindi cinema isn't abandoning its forays into India's diverse socio-cultural realities. Zoya Akhtar's musical drama Gully Boy, starring Ranveer Singh, Alia Bhatt and Kalki Koechlin, is inspired by the lives of two real-life Mumbai rappers. Releasing on Valentine's Day, it will have its world premiere at the Berlin Film Festival in February. Dibakar Banerjee's Sandeep Aur Pinky Faraar, produced by Yash Raj Films, has Arjun Kapoor as a Haryanvi cop to Parineeti Chopra's corporate exec. Their disparate worlds collide in comedic ways. Abhishek Chaubey's Sonchiriya (February 8) is a crime drama set in the ravines of the Chambal and stars Sushant Singh Rajput, Bhumi Pednekar and Manoj Bajpayee. 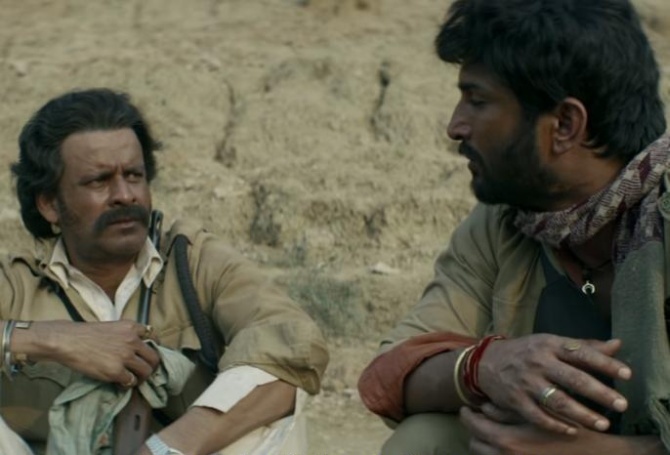 IMAGE: Manoj Bajpayee and Sushant Singh Rajput in Sonchiriya. Jharkhand gets its place in the sun in a slew of films releasing in 2019. Among them are two Hindi language films by Bengali directors Goutam Ghose and Suman Ghosh. Raahgir, starring Adil Hussain, Tillotama Shome and Neeraj Kabi, is Ghose's fourth Hindi film after Patang (1993), Gudia (1997) and Yatra (2006). Ghosh, a Florida-based professor of economics who has made several Bengali feature films besides the Amartya Sen documentary, The Argumentative Indian, is filming Aadhaar, a social satire featuring Vineet Kumar Singh as a Jharkhand man who was the first recipient of an Aadhaar card. Unusual Bollywood romantic comedies to watch out for: Cinematographer Laxman Utekar's first Hindi language directorial venture Luka Chuppi, a Meerut-set tale starring Kartik Aaryan and Kriti Sanon with probable shades of Bareilly Ki Barfi, and Arjun Patiala, about a tall girl (Sanon again) in love with a short man (Diljit Dosanjh) and facing complications due to the height difference.